A 2019 United Nations report estimated 3.4 million Venezuelans had left their country, with 94 per cent of those who remained living in poverty. Mr Quijada Ode said the crisis in Venezuela was an example of how socialism could turn a rich economy into “one of the poorest and [most] corrupt economies in the world”. 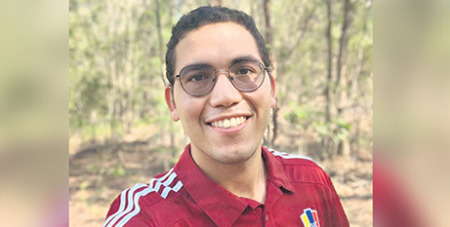 “In my opinion, socialism is a failed system which has never obtained good results in any country where has been implemented,” said Mr Quijada Ode, a 26-year-old civil engineering graduate. “I came to the cathedral on July 1, 2016 – the day after I arrived in Australia – thinking that there would be a 6pm Mass (the common Mass time in Venezuela).